Thank you to everyone who donated food to our Harvest Festival appeal. The food was donated to the Farnham Foodbank. 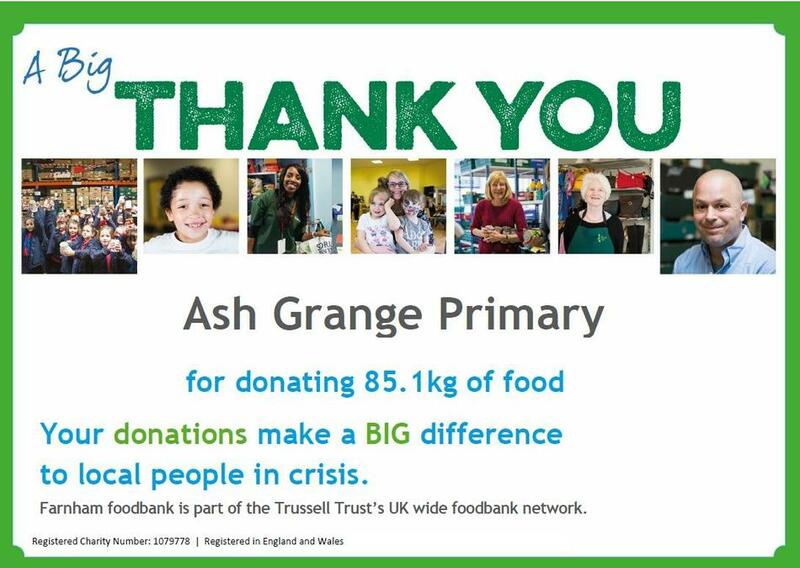 Over 90% of the food distributed by foodbanks in The Trussell Trust network is donated by the public – that’s why your food donations are absolutely vital to their ability to give everyone referred to them a balanced and nutritious three day supply of food.